My siblings call me “Sissy” but the shelter girls like to call me Little Bertha (after Big Bertha who was adopted a few weeks back). Right now, my heart belongs to the workers of the Hillside SPCA in Pottsville, PA, but I hope to find a new family soon! I am an American Staffordshire Terrier. I was born in Pennsylvania on September 18th. My owner had too many dogs and had to give us up (boy are we glad because we have already been spayed and we know we will get good homes)! I am fun-loving, charming, and ADORABULL! I love to nap and eat! I would be happy in any type of home but I’m hoping it’s one that will keep me busy so I don’t get in to mischief! I am available for adoption at the Hillside SPCA, Pottsville, PA.
Special thanks to Jacqueline Dormer and the Hillside S.P.C.A. for helping to save hundreds of animals every year! We are honored to feature animals currently in need of a loving and safe home. For further information about all animals currently available, please contact the Hillside S.P.C.A. 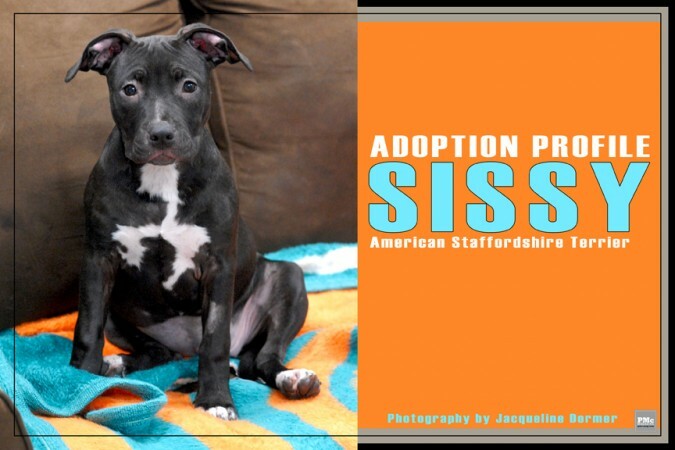 To help save and rescue animals like Sissy thru a charitable donation please contact the Hillside S.P.C.A. Questions Answered on Behalf of Sissy by Tricia Moyer, Assistant Canine Manager, Hillside S.P.C.A.